Piazza Navona is one of the most famous and arguably the most beautiful of Rome's many squares. The large and lively square features no less than three magnificent fountains. 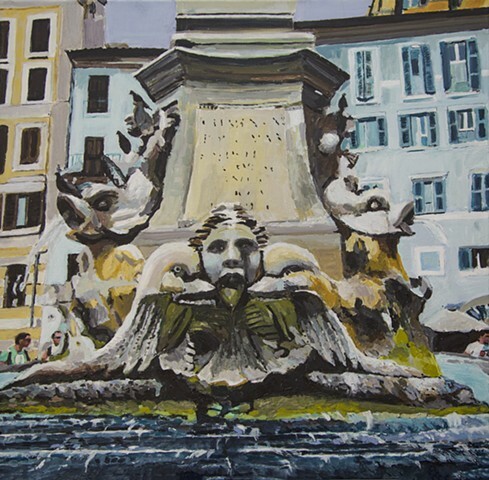 I loved the photo of this fountain so much that I subsequently painted it.